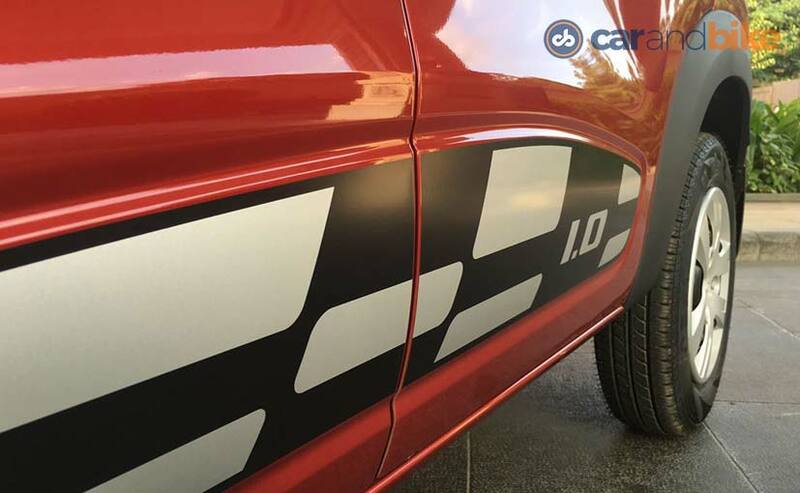 Visually, the Renault Kwid 1.0 looks largely identical to the regular version of the Kwid, barring for a sporty chequered flag decal on the sides. 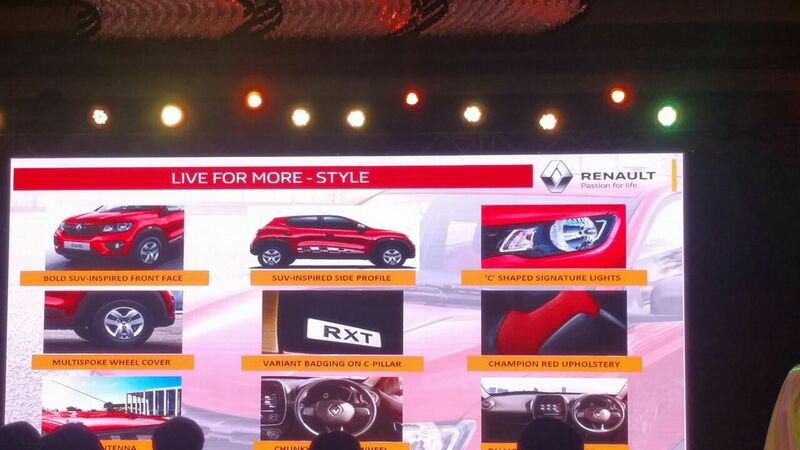 Also, the updated Renault Kwid comes with new bigger ORVMs, which now come in silver/black dual tone colour. 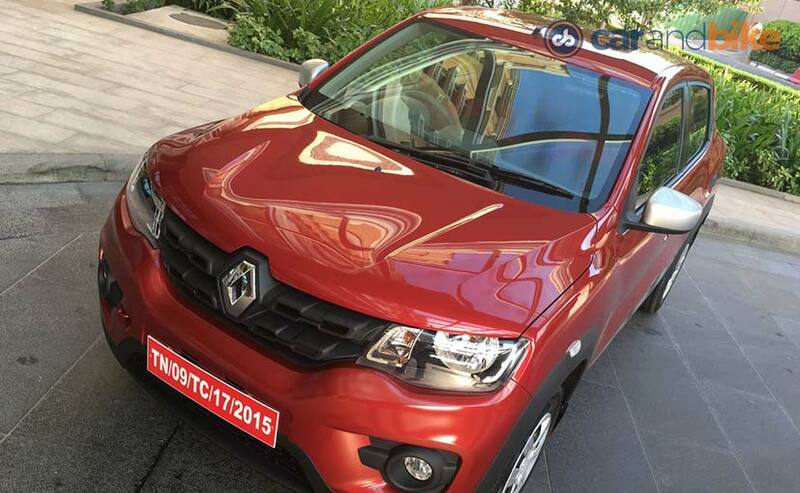 Apart from these the car doesn't even get a new body colour option dedicated to the Renault Kwid 1000cc version. The 1.0-litre engine develops 67bhp and 91Nm of torque as compared to 53bhp and 72Nm of torque on the 0.8-litre engine variant. The carmaker used the same 800cc engine but reworked upon it by expanding its bore and stroke, to get that extra 200cc, converting it into the Renault Kwid 1000cc. The more powerful variant returns an ARAI certified fuel efficiency of 23.01 kmpl, slightly lower when compared to the 25.17 kmpl figure available on the 0.8-litre variant. 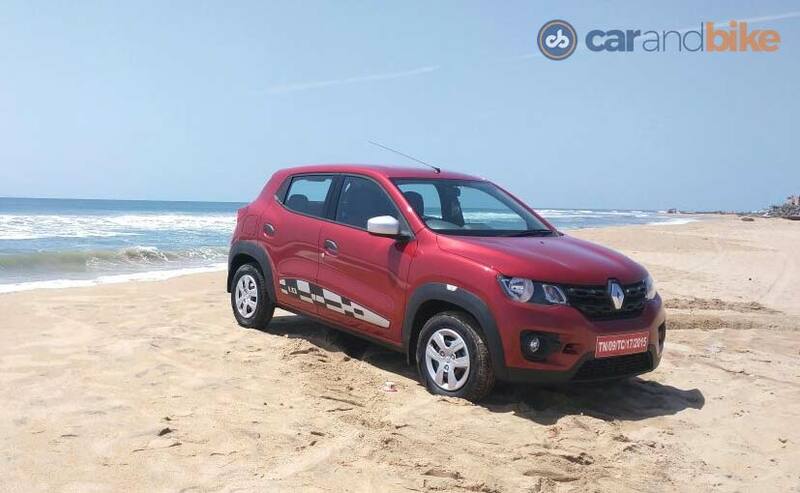 Read our Renault Kwid 1.0 Review here. The Kwid will continue to be available with the 800cc three-cylinder engine as well. In fact, Renault has made some considerable modification to the Kwid 1.0 that has improved the NVH levels of the car. These changes will be implemented in the 800cc version as well. The new Kwid 1.0-litre trim makes 67bhp and develops 91Nm of peak torque, while mated to the same 5-speed manual gearbox as the Kwid 0.8-litre trim. 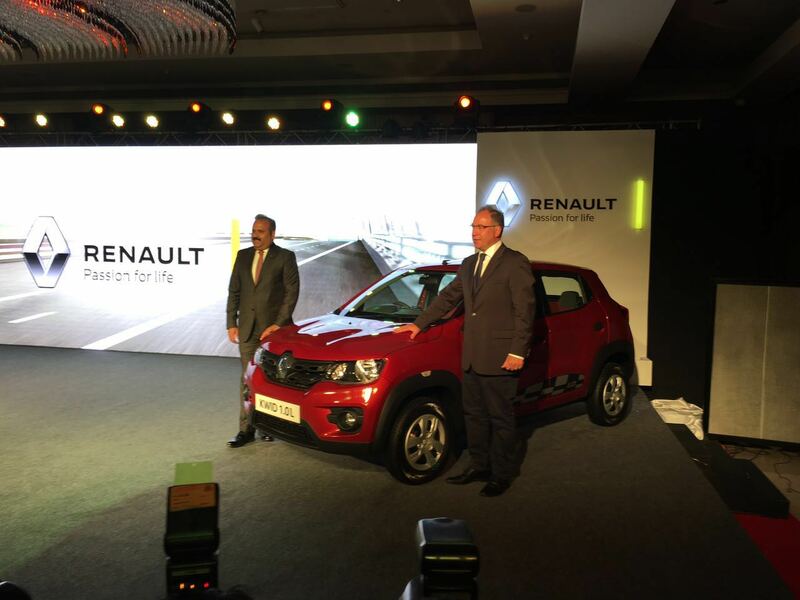 That said, Renault India will launch an AMT version of the Kwid which will comes mated to the 1.0-litre version only. 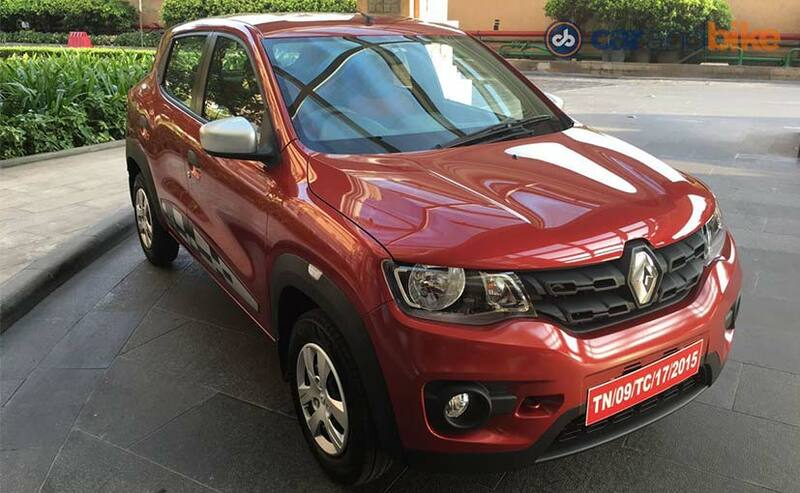 The Renault Kwid 1.0-Litre gets the same features except for few different bits. Since the car's launch in India, Renault has received over 1.65 lakh booking for the Kwid hatchback and over 50 per cent customers are first time buyers. The Renault Kwid is currently among the top 10 cars sold in the country and the company has sold over 80,000 units since last year. Renault India head, Sumit Sawhney says that since the launch of the Kwid, 90 per cent parts used in its production are locally sourced. 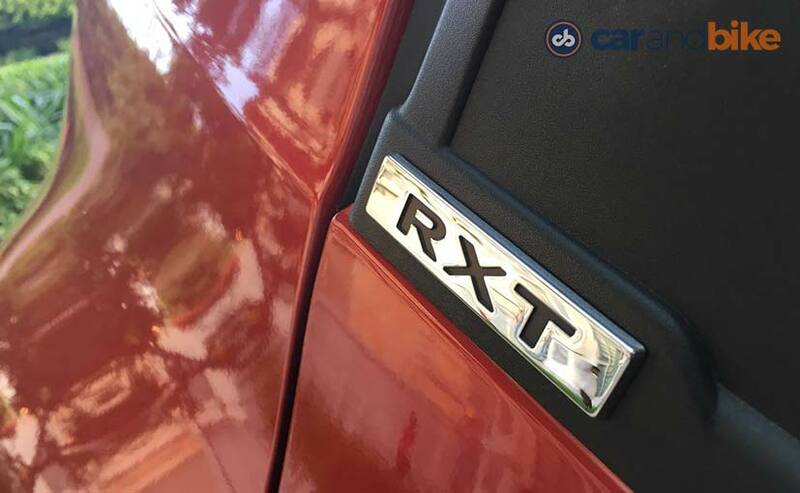 The company has already launched the car in Sri Lanks, where it is one of the best-sellers in its segment. Furthermore Renault plans to launch the car in Nepal as well by next month. 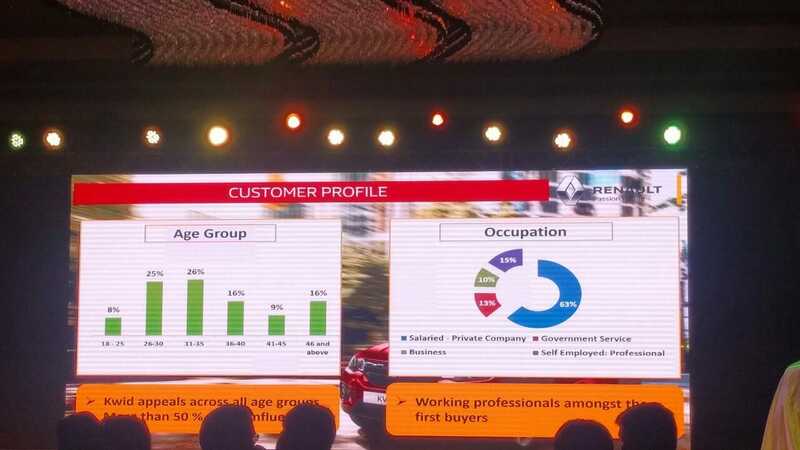 Renault India is expecting to achieve 5 per cent market share in India and 270 outlets in the country by the end of 2016. 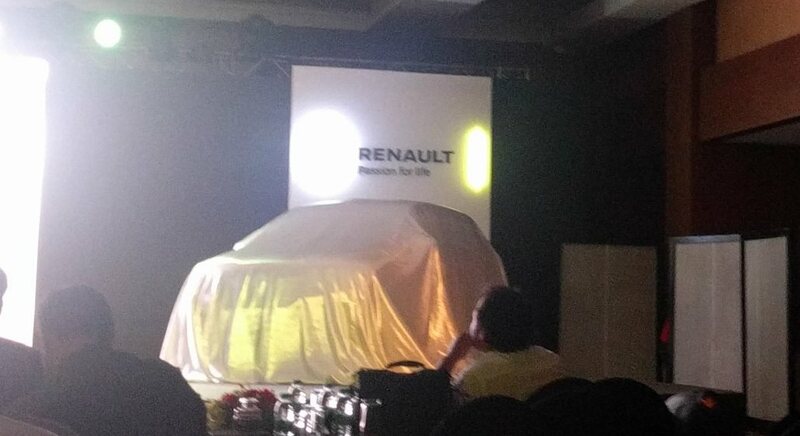 Just moments away from the launch of the new Renault Kwid 1.0-litre version. More updates from the venue coming soon. Just about an hour to go before Renault launches the Kwid 1.0-litre version in India. 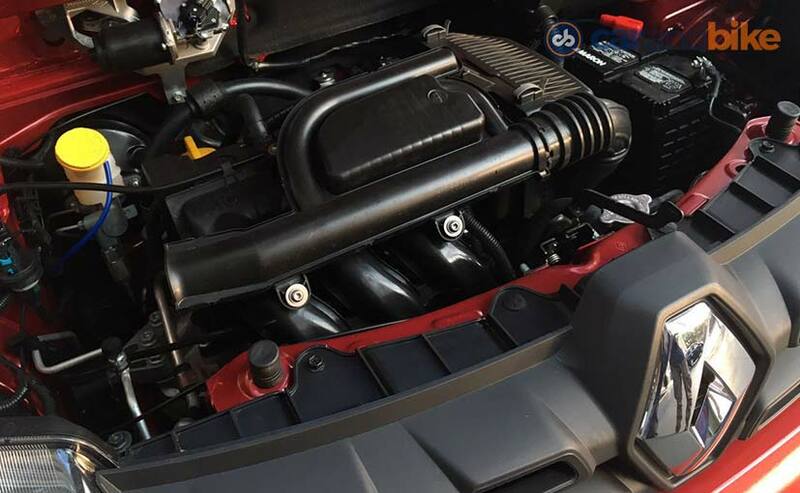 Quick fact check - The updated and more powerful Kwid now also comes with improved NVH levels which Renault was able to achieve by reworking on the timing belt, clutch and engine mounts. So, the new Kwid will have a much quieter cabin compared to the regular model. Less than a couple of hours to go for the big launch. The long awaited Renault Kwid 1.0 is all set to be launched in India today.